The Sint Maarten Sportfishing Foundation (SSFF) was founded in April 2008 when fishing fanatics Sergio Hodge, Dean Hodge Jr and Mark Anthony where lobbied by members of the previously known St.Maarten Big Game Fishing Foundation (Robby Cijntje, Rickey Lawrence and the late Egbert “Slim” Richardson) to pick up and continue where they left off. The torch was successfully handed over and wasting little time the first fishing tournament was hosted in November of 2008. 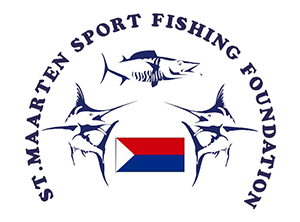 The Sint Maarten Sportfishing Foundation is a non profit foundation that organises deep sea fishing tournaments on the Dutch side of Sint Maarten. Latest announcements can be found on our Facebook page and on our homepage under announcements.